Due to the notch at the top of the display, the Note 7 has a 6.3-inch LCD screen with 2340×1080 pixels. The company claims that the bezels on the sides are just 0.8mm thick, with a brightness of 450 nits, similar to the Note 6 Pro. The body of the phone is a 2.5D curved glass chassis, with a rear fingerprint sensor. The camera unit is placed at the top left corner of the rear panel, aligned vertically, with a single LED flash below the sensor; there’s also a secondary 5MP rear sensor for portrait shots. The camera appears to be housed in a large, protruding module. The design refresh is certainly welcome; but it’s the rear camera module that’s the real newsmaker for this phone. According to the company, the 48MP sensor can take better low-light shots, and poster-quality HD photos. The selfie camera has a 13MP sensor, with AI algorithms for beautification and portrait mode. According to Xiaomi (or is it Redmi now? ), the display is so durable that stepping on it won’t break it. Dare we test that claim? 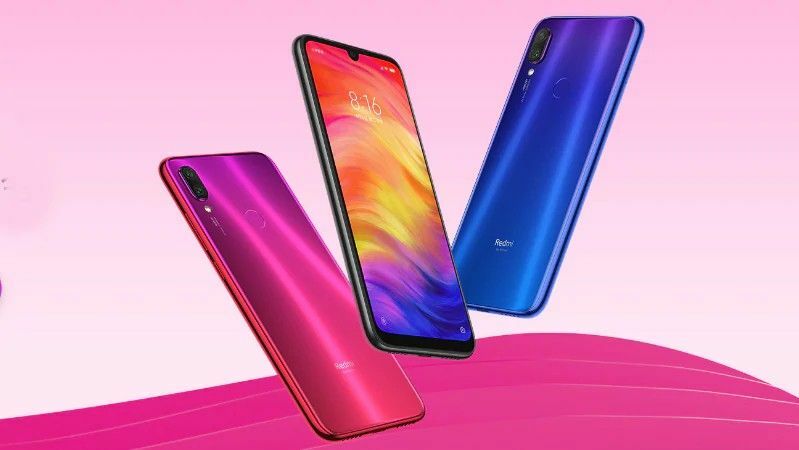 The Redmi Note 7’s price begins at 999 Yuan for the base variant (3GB+32GB), which translates to roughly Rs 10,381; the priciest is the 6GB+64GB variant, which costs 1399 Yuan (about Rs 14,532). The company is offering an 18-month warranty to buyers in China. It’s hard to say when the phone will come to India, and if it’ll remain as affordable as we’ve come to expect from the brand. Clearly, the Note 7 brings some pretty high-end specs to the budget smartphone table, so the pricing in India will be a matter of some interest.